The hot water system is one of the most important appliances in any Aussie household. But given the sheer variety and number of options, choosing the appropriate one for you and your family can be a tad overwhelming. The days of every house on the block having the same old rusty water tank are over, with a number of modern options now on the market from the world’s biggest brands. At Australian Hot Water, we use our 30 years of experience to expertly match you and your home with the perfect system – taking into account cost, energy, environment and other factors. As authorised agents for the brands we sell, we have been trained and certified to install, repair and provide advice on the leading hot water units. Even better, because we have unmatched buying power, we are able to make sure you get a great deal on whatever system you choose. What is a hot water unit? Put simply, a hot water unit – otherwise known as a water heating unit – is any device or appliance which heats water to be used in your household or business. This is most commonly for the hot water taps throughout your house, but can also be for specialist uses such as cooking and making warm drinks. 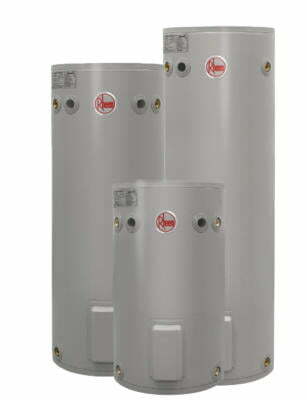 Some can be large and store water, like the traditional water tank, while others such as continuous hot water systems are wall mounted and much smaller. These devices heat water as you use it, rather than storing it to be used, making them cheaper and more environmentally conscious. The hot water unit you choose is important not only for the type of household you have, but for your budget and energy preferences. There will also be some regional variations, although most houses in New South Wales will be equipped to handle the majority of options. With Australian Hot Water, you also have the advantage of easy access to our extensive network of emergency plumbers, offering same-day assistance – meaning even if something unforeseen occurs, you’ll have your system repaired in no time. Australian Hot Water stock the world’s leading brands, including international companies such as Bosch & Stiebel Eltron along with the well know Aussie made variety like Rheem, Rinnai, Dux , Vulcan , Aquamax & Zip. The costs, capacities and functionality of each brand can vary significantly, so get in touch with an Australian Hot Water sales representative to discuss your hot water needs.